Now Auckland-based, Ha the Unclear recently returned from a triumphant debut Australian tour with The Wandering Lamb declaring “stellar performances”. Their slap-you-in-the-face lyricism, absurdist narratives and hook-driven alt-pop ditties saw them invited by Courtney Barnett to join her for a tour of New Zealand in November and they have been described by Entertainment Weekly as “fascinatingly odd” and the BBC as “absolutely bonkers. Here's the thing. Shakes is Shakes. Shakes is: Chris Miller, Alex Wildwood, Adam McNeilly and Patch Patrick. 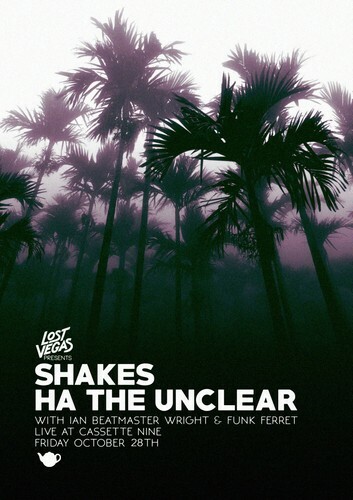 Plus Ian Beatmaster Wright & Funk Ferret on DJ duties 'til close.